Brilliant Mat Mathias designs and craftmanship for ORANGE of London,1969 - 1972 era. 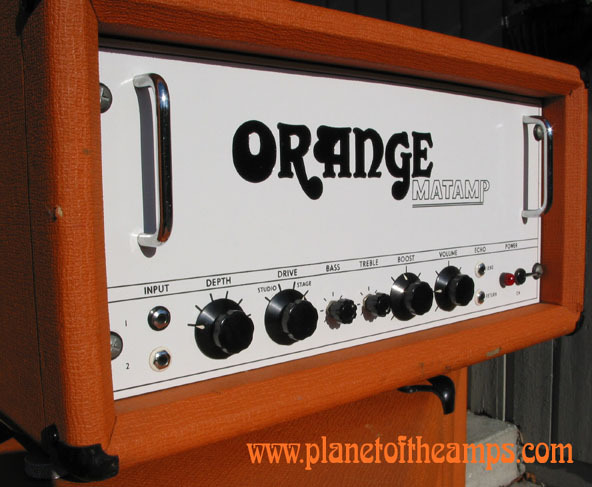 and 80watt versions are used in Black Sabbath Videos for both guitar and bass. 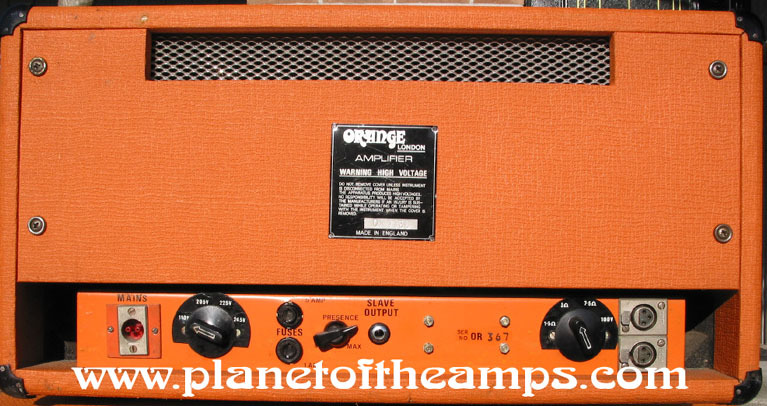 Rich in tone and burly resonance when playing this 200 watt unit you understand immediate how the greats got "that" tone. a big amp a newer car or bike. 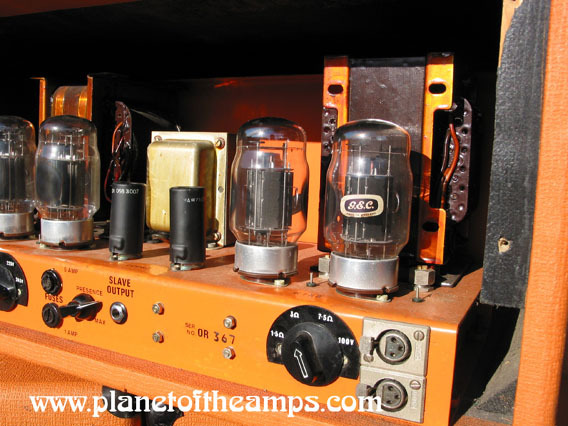 The Lead 200 is an amp well worth walking for. 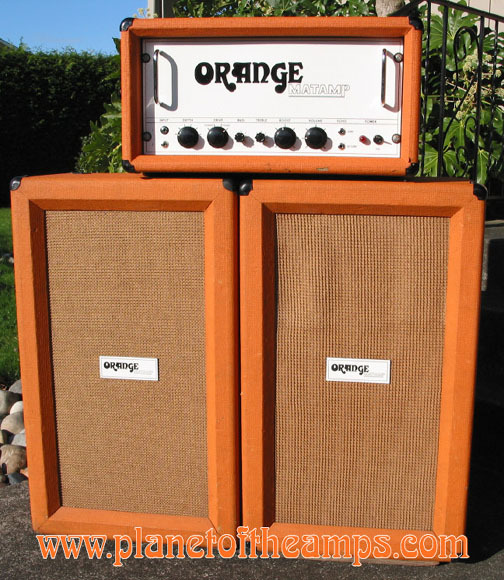 Twin 2x12 Vertical Cabinets back in the day where used for Guitar, Bass and PA and DJ. 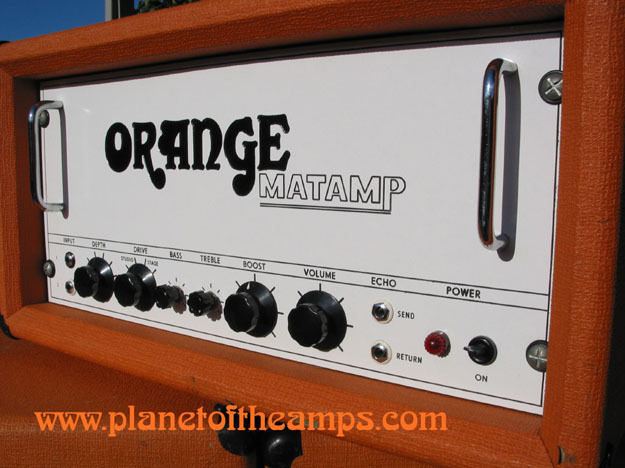 of the pots / knobs ended for Matamp when he passed away. These units illustrate how detailed and precise Mat Mathias was with his design and assembly. 36 years later, looks quality still, and functions like a quality amp should. 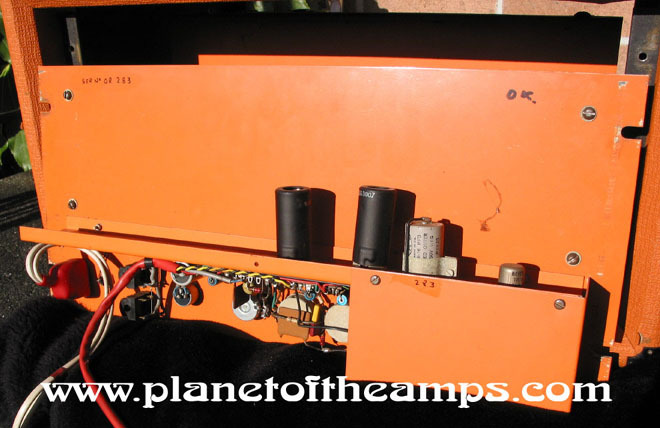 role amplifiers and speaker cabinet play in a musicians life. He also understood how the musicians tech and roadie would have to relate to his gear too. XLR speaker jacks on this one. Both the speaker jacks and IEC cord have been altered, however look like it could be "British", as the two prong accommodates the Bulgin cord. Some the the units where indeed equiped with the XLR. 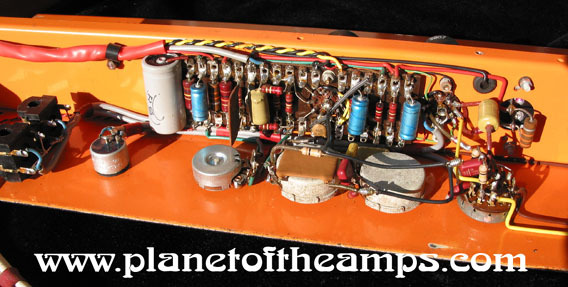 Alot of the 200 watt Lead versions where not built originally as "Leads". The chicken head knob is not original either. This presence knob was the presence for the SLAVE UNIT, as they had no knobs on the front. 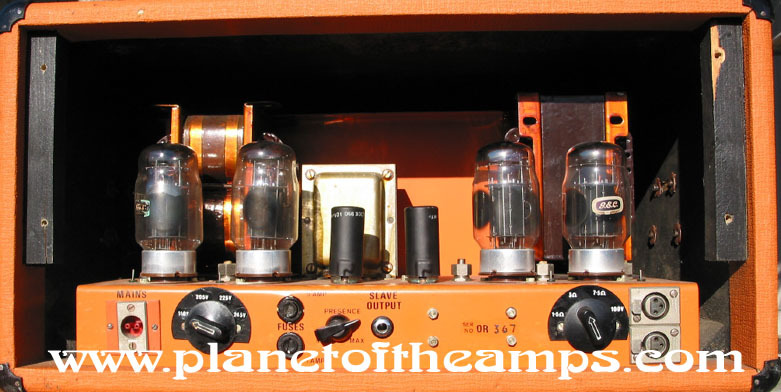 The volume on the SLAVE would cascade with the volume of the input amp. The only adjustment on the SLAVE 200 was the presence on the back of the chassis as shown. 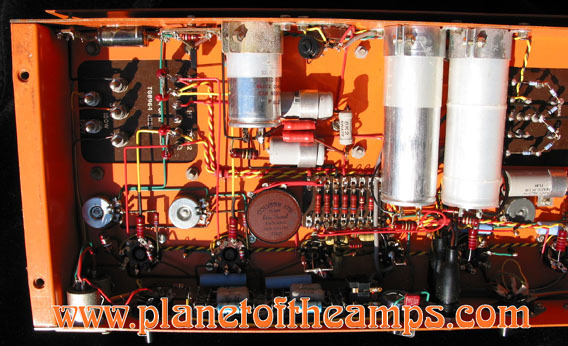 Most of the time, Mat would take a SLAVE 200 Amp and then build his front end EQ panel for the SLAVE unit. Then load that in the sleeve. This is why the chassis are typically a different serial number than the front panel serial number. The KT88's in their glory. Mat was great with is layout. thoughts about how great "That KT88" sounds. 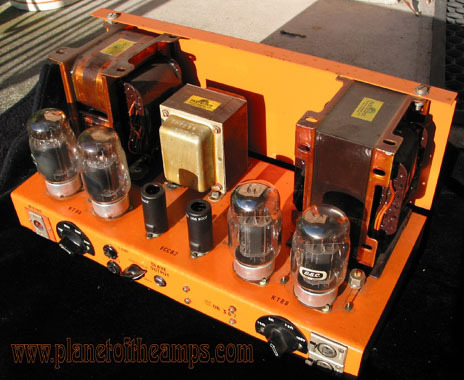 design that partially explains why this amp is still running and awesome. Mat's amps where much more busy for the eye to look at. Part of the space absorption is the horizontal transformer hole in the chassis. Looking inside Mat's amps is like looking in at a candy store's hard candy section. Mat Mathias made mondo high voltage look like something you want to run your tongue accross. Sweet design and assembly craftmanship . There is definately a process including talent of engineering and art during assembly. The chassis lug nuts welded to real metal. August 18th of 1972 Serial No. 367. 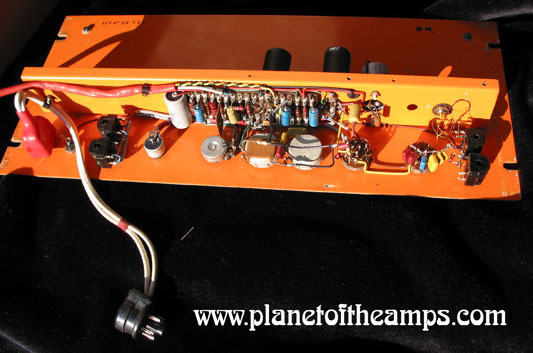 The EQ front panel removed from the amp sleeve reveals the front of the chassis and the front chassis shield. 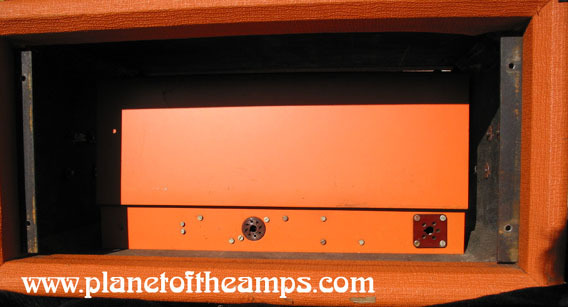 The Front panel was fastened to angle iron that is mounted to the amp sleeve. 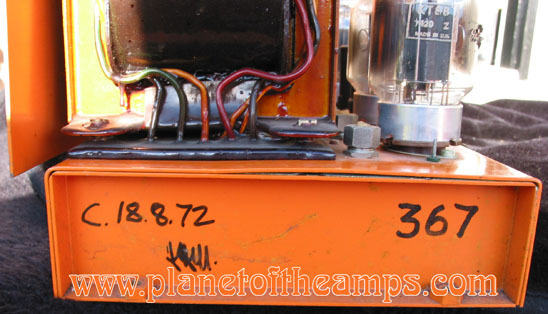 The front panel removed shows that it is Serial number 283. This supports the fact that the Slave's where converted into leads. Guitar players by 1970 where coming to Mat with "loud" in mind as the venues where larger too. Mat's designs kept getting bigger, and bigger and higher output. voltage of the power unit is maximum too. These units are a dream to play through. The circuit is quiet like a crypt until you hit the strings. It will twist your cabinet on the ground if you don't use a chunk of carpet to secure it to the floor. 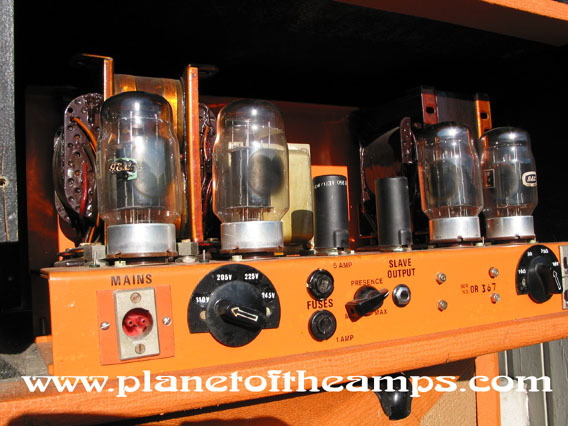 are known to be owned by amp company owners that play guitar and have a collection. A large amount of the 200watt Slave unit models where and are used by the BBC in their studios. Lots of sound men in the UK and Germany still have these and where a real operator if they had these back in the 70's. They weigh around 90lbs and are not small. 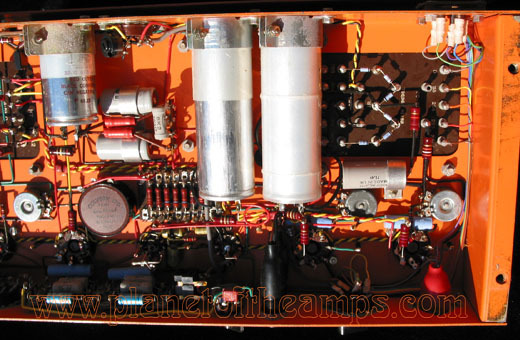 This amp will hang heavy over the cab edge in Russ Meyer leading star talent. irreplaceable componet event. Once set up, you will have years of operation before the next tune up. 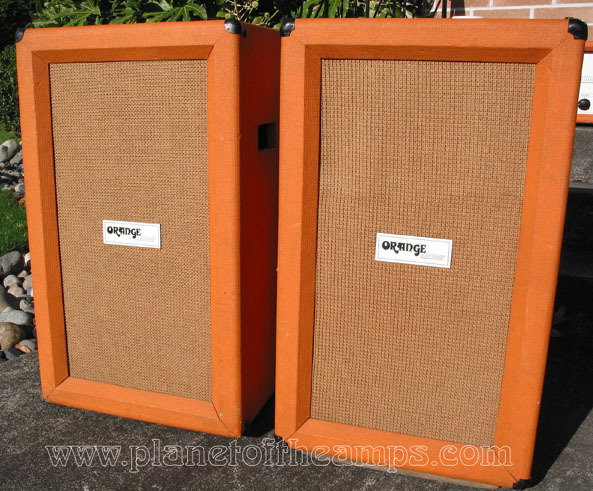 Run this unit with 1-4 speaker cabinets and get MONDO ! 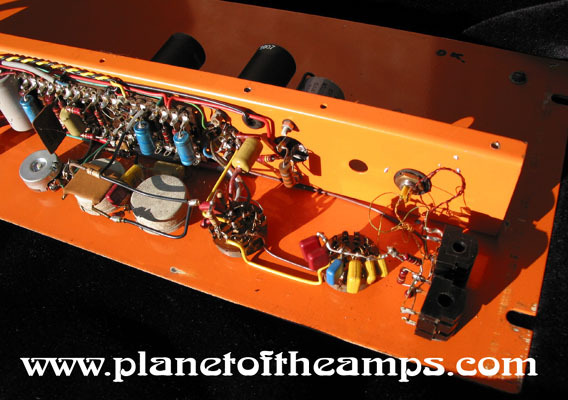 -Great amplifier for all around music, for all venues BIG and LOUD Venues. 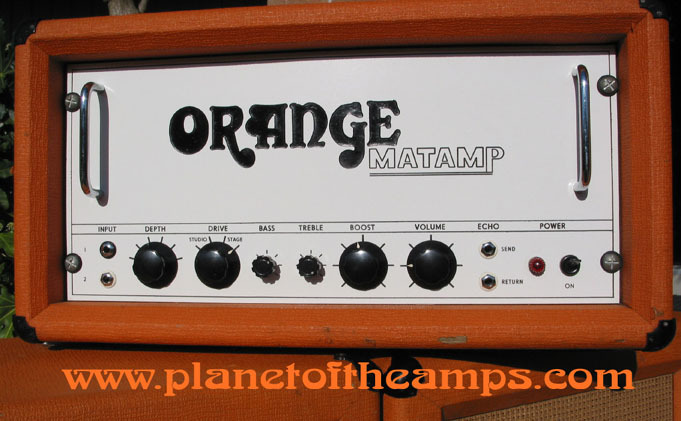 -Loud, clean and Loud Loud and LOUD and great natural overdrive. -Expect to pay alot for the working models in good shape.